Previously I mentioned Tayfun Uslu’s Master’s thesis where he mentioned this blog. Here are the relevant excerpt from Tayfun Uslu’s Master’s Project Thesis, Fundamentals of the Network Neutrality Debates, where he uses DaVinci Automata as an example of autonomy in network information economy. Davinci Automata* blog is an example of how the Networked Information economy increases individuals’ autonomy. 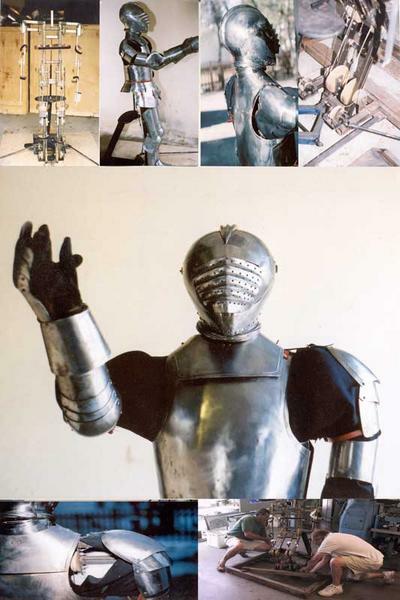 Davinci Automata is a blog on he Clockpunk genre of Science Fiction. It is designed for a segment of the population that is interested in this genre; thus it makes diverse information available to individuals. The owner has the open source tools to customize he blog as he wishes. The readers get turned into users by leaving comments or even submitting their work to be posted in this blog. I just got done with the finals and will resume posting soon including the stories. 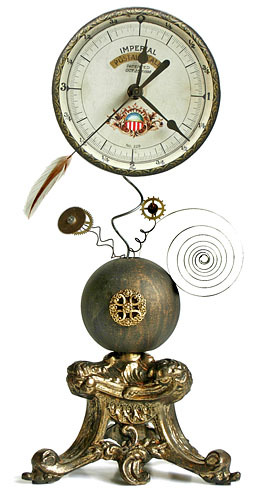 Here is a really interesting link (found via BoingBoing) on some really nice Clockpunkish Clocks. One of our readers, Mark, suggested that the following online comic may be an example of Clockpunk. So here it is. I will now entertain suggestions for resolutions to be included in the Clockpunk Manifesto. I plan to nail it to the door of a bookstore at some point. Projects, exams are hitting hard so I have not been able to post much or even read the short stories that have been submitted to the Anthology project. So here is the deal, I will finally get a chance to read the submission in a couple of weeks when I am done with finals. In the mean time I will be posting stuff that I had saved in the drafts. In the meantime all you Clockers out there keep Clocking!